Buy Southwind WPC Waterproof Flooring and Save 30-60%! 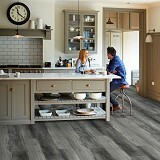 Southwind Waterproof flooring at the lowest prices available! 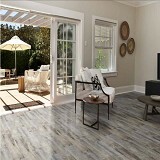 Southwind waterproof WPC flooring has new styles that are great looking and give the buyer a selection of quality waterproof flooring styles and patterns to choose from. Southwind LVP waterproof WPC flooring is a very versatile type of WPC Wood Plastic Composite flooring and can meet the needs of many budgets, decor, and installation considerations.Southwind waterproof WPC flooring has some of the most popular styles and designs of WPC waterproof Floors on the market today. Southwind Offers a myriad of styles, types, and textures that can be used in any home or office. From homes with kids and pets, the home office, the corporate center, or favorite restaurants you can find a waterproof flooring solution to meet your needs. Order today with confidence at American Carpet Wholesalers for up to 60% savings!